I'm a big candle lover in case you didn't already guess, I burn candles on a daily basis and have a candle in each room within the house apart from my children's rooms. I'm also a ROSE devotee and love floral scents, over the months I've burnt a few candles which claim to be Rose infused or Rose scented. 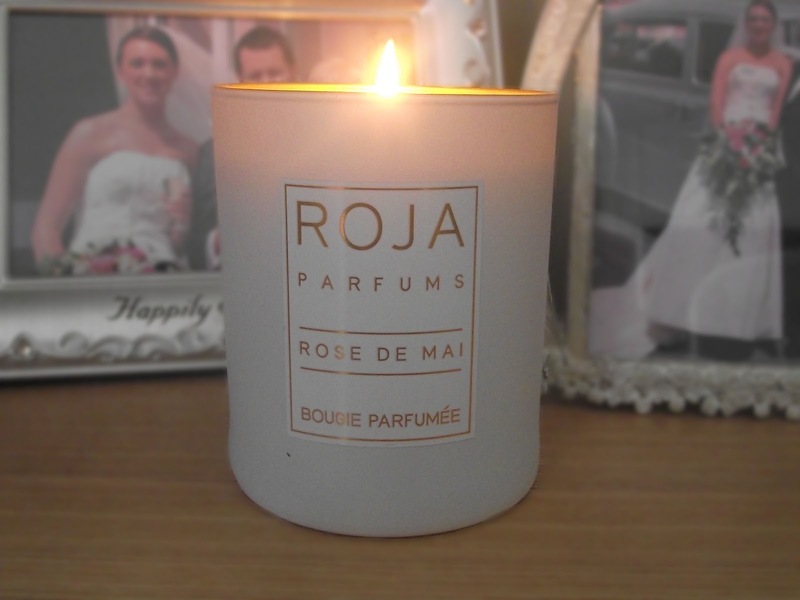 You can smell the rose notes and they do smell lovely but the ROJA Rose de Mai scented candle is amazing, it smells like you've just sprayed a room spray. The aroma fills the room with a beautiful floral, sweet scent of fresh dewy rose petals. The votive is luxurious and chic, white frosted on the outside and a beautiful rich matte gold inside. This takes pride of place in my bedroom, it fills my room with the beautiful delicate fresh scent of the rose petals and then intensifies when lit. Roja Dove creates the worlds most exclusive bespoke perfumes, amongst his own signature Roja Parfums. The most luxurious collection of perfumes ever created. Roja owns the Roja Dove haute Parfumerie in Urban Retreat, Harrods. The most luxurious perfumery in the world. 'Roja Dove stands alone as the world's most respected perfumer'. Because of the work and the quality of the ingredients which go into the making of this beautiful candle, it does come at a price. This will set you back £75.00, a real treat you may think! If money was no object, I'm sure you would have one in every scent in each room of your home. I know I would, but would you pay £75 for a candle? Do you like candles? What is your favourite scent?